Space is an ongoing issue in many of our major cities. Our homes have even been affected; from busy estates lined with terraced houses to blocks of flats that tower storeys above the ground, all designed to create more space. When living close to your neighbours, there aren’t many options to expand, especially without giving something up in exchange (space in the garden or making a room larger by removing a wall between two rooms, for example). But what if you could make more space without the need for a sacrifice? We are proud to offer basement tanking in London, a service to waterproof your basement or cellar against lateral penetrating damp; often found in older buildings with no anti-damp measures or poorly ventilated spaces. Open up a new living space, add a new bedroom or simply increase your property’s storage potential – you are only limited by your creativity. In addition to creating more space in your home, anti-damp measures such as basement tanking can protect against damp-induced damage in the future and may also add further value to your property. Basement tanking is providing your underground space with a waterproof “shield” that is impervious to moisture. 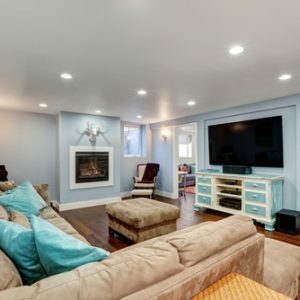 There are several types of basement tanking available, depending on the amount of water movement measured in the area and the space to be waterproofed. Properties with a light ingress of water will be suitable for cementitious tanking; an application of a waterproof render which is applied directly to the base material. Areas of unpredictable or higher levels of water ingress will better suit membrane sealed tanking, where a membrane is fitted to the walls allowing water to pass behind and drain away from the building. Ventilated membrane systems are used in areas where no free-running water is expected and are fitted to prevent salt and damp contamination. 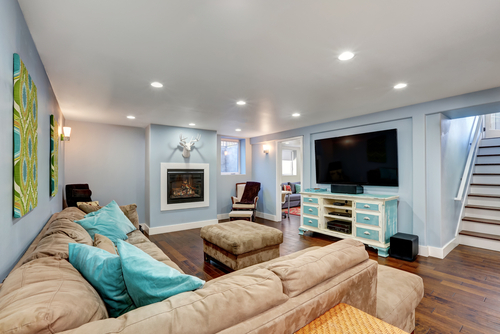 Knowing when it’s necessary to seek out basement tanking services can be tricky. However, if you suspect that damage is being caused by damp, it’s advisable to get in touch with a professional as soon as you can. If left untreated, unchecked damp can be devasting, leaving structures weakened and potentially causing irreparable damage to foundations. While basement tanking will prevent moisture moving through the underground walls into your basement or cellar, this won’t stop damp from occurring if the room is not properly maintained. It’s important to discuss your intended room requirements with Garratt’s prior to undertaking a basement tanking project. This will enable us to ensure that plans can be made for essentials such as heating, cooling and proper ventilation. Our team are waiting to help with all your basement tanking enquiries in London. Contact us using our online enquiry form or call today on 0208 535 7536.